Scent: Sweet, herbaceous, earthy, similar to the aroma of Manuka. Benefits, Indications: Acne, athlete's foot, candida, chicken pox, cold sores, colds, corns, cuts, flu, insect bites, itching, migraine, oily skin, ringworm, sinusitis, sores, spots, urethritis, warts, whooping cough. Kanuka was used originally by the Maori people of New Zealand for pain and inflammation relief, skin diseases, and to promote calmness and sleep. Kanuka essential oil is antifungal, anti-inflammatory and has a pleasant perfume. For the relief of swelling and muscular pain, skin problems, for sprains, strains and sports injuries. Helps clear inflammation. Precautions: Kanuka is a strong oil and should be diluted in a carrier oil. Use at very low strength for children as it may irritate their skin. Not recommended for use during pregnancy. Evaluating the effects of the essential oils Leptospermum scoparium (manuka) and Kunzea ericoides (kanuka) on radiotherapy induced mucositis: a randomized, placebo controlled feasibility study. 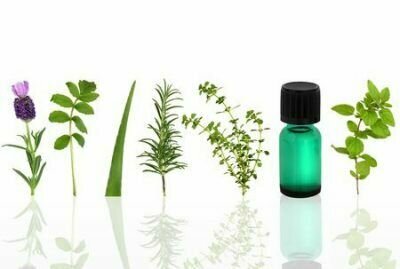 Pharmacological and antimicrobial studies on different tea-tree oils (Melaleuca alternifolia, Leptospermum scoparium or Manuka and Kunzea ericoides or Kanuka), originating in Australia and New Zealand. Chemical, physical and antimicrobial properties of essential oils of Leptospermum scoparium and Kunzea ericoides. An investigation of the actions of the essential oils of Manuka (Leptospermum scoparium) and Kanuka (Kunzea ericoides), Myrtaceae on guinea-pig smooth muscle.